During a recent business trip to Helsinki I went browsing around in various shops including Madeby Helsinki, which sells the goods of local crafts workers. I also try to take the time to visit this shop, when I am in Helsinki. This time I found this green ceramic vase for my green vase table, which was an amazing bargain as it costed only 30 €. 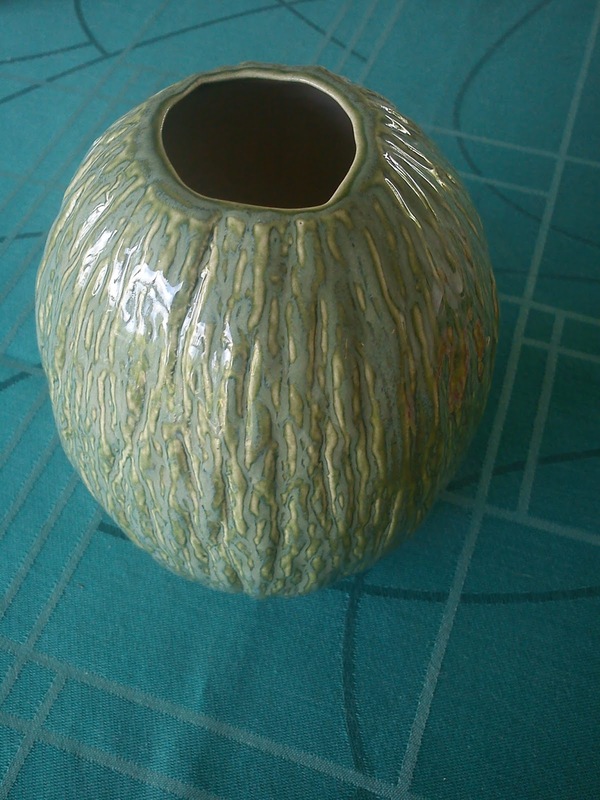 According to the staff in the shop the craftswoman behind this vase (Mvinkaa) from time to time went to the shop and made big discount on her work. Some time ago I had the pleasure of eating at Kähler Villa Dining as part of a work event. 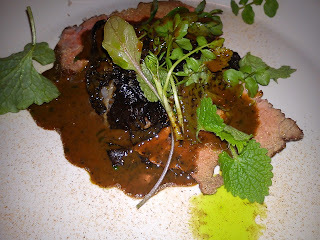 And it is for sure not the last time, that I will eating at Kähler Villa Dining. 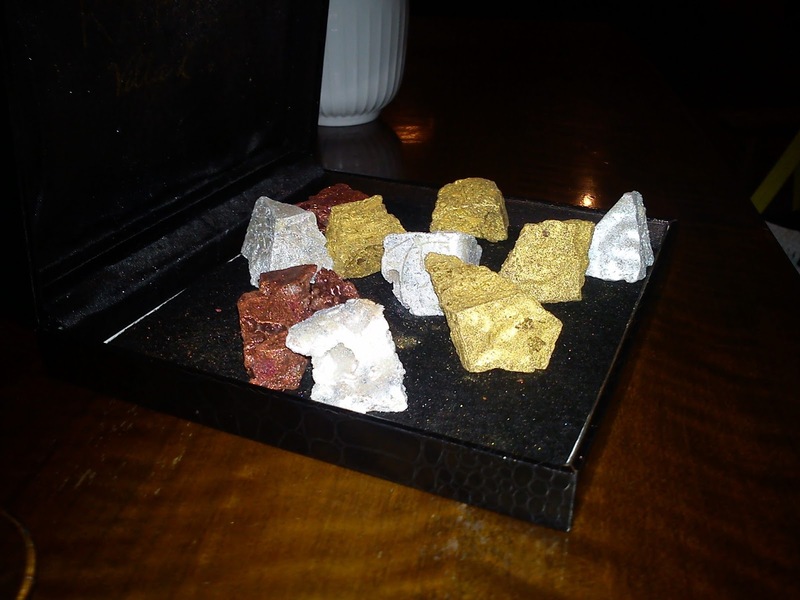 As one of options you can pay for a meal of appetiser, 3 course dinner, wines and coffee with sweets, so you now the entire price for meal, before you the restaurant. On top of this all the things used for serving the dinner is from Kähler, so you can get inspiration for using your own Kähler stuff in a new way, if you like me is a Kähler addicted person. 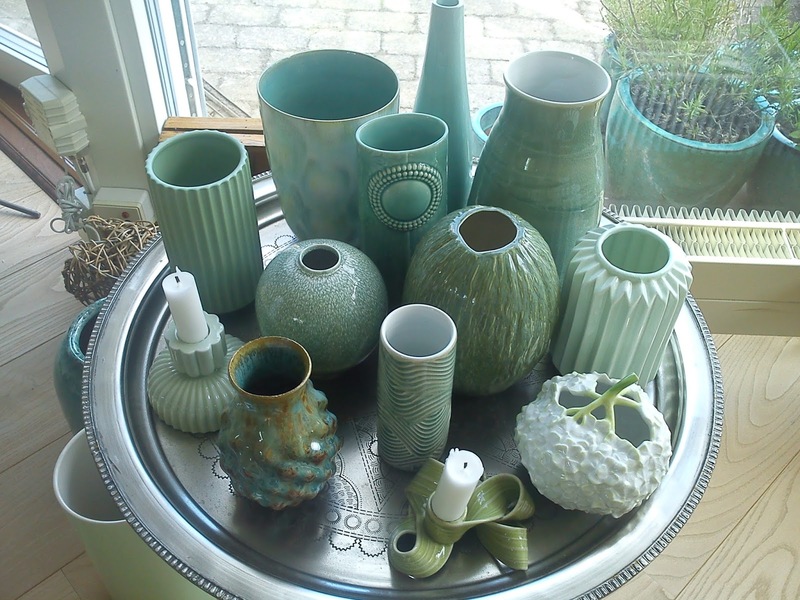 And finally you also get 10% discount if you at the end do some Kähler shopping. 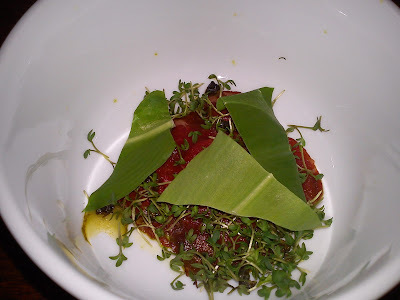 As appetiser we were served raw beef tenderloin with wild garlic. 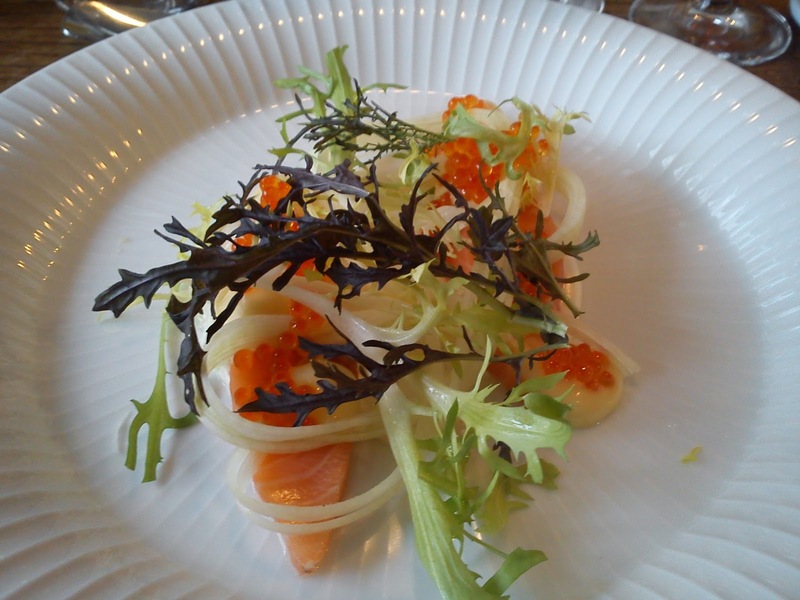 The starter was (the usual) salmon with smoked cheese, bitter salads and roe, being a big thing in Denmark during spring season. The main course tasted fantastic in form of veal served with infant and wild spring herbs, glazed morels and black trumpet hats. The sweet part of the dinner was crispy rhubarb with white chocolate mousse, apple sorbet and lemon balm leaves. Together with coffee and tea we were served these fantastic looking chocolate pieces with the look for rocks, some looking like big lumps of gold. Besides from bringing some more ceramic for my ever growing collection of ceramics I also located a tea shop in Oslo called Black Cat, where I as the land lady for Hannibal the cat had to do some tea shopping. I found three teas in form of Duke of Canterbury, which is a combination of green Chinese jasmin tea, black Ceylon tea, China Chun Mee and China Yunnan with flavour in form of passion fruit, apple, bergamot and orange. Chai in form Indian Assam tea with cardemon, cinnamon, ginger, ginseng and cloves with a touch of rooibush. 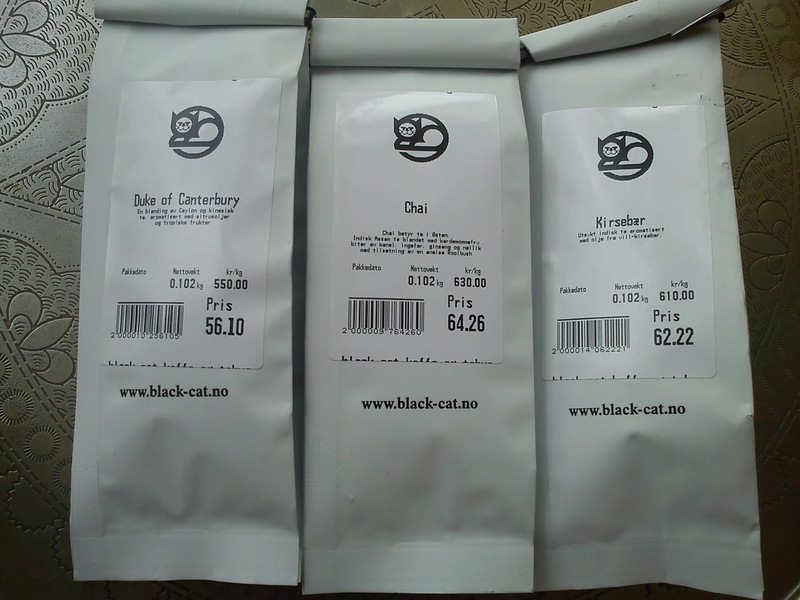 Kirsebær in form of black tea from China, Ceylon and Vietnam in combination of hibiscus and cherry flavour. 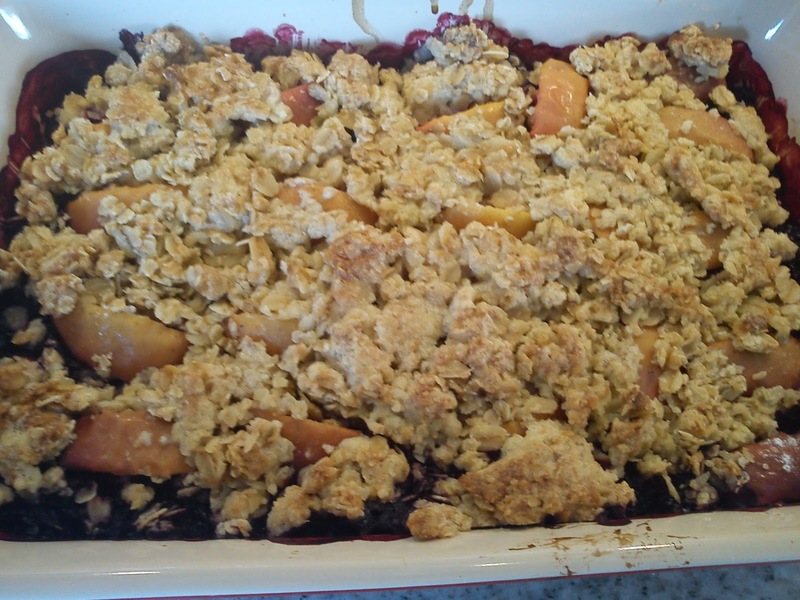 This easy cake is an excellent way to clear up your freezer for any fruits picked last year, but not used before new fruit is ready to fill up your freezer again. You can use a lot of different fruit. In this case I have used a combination of frozen blackberries and 2 fresh apples. One one of my colleagues at work was getting tried of all my frozen blackberries filling up the freezing room at work, so I had to find a way for using these blackberries, while I at the same time could get some brownie point at my colleague, as I baked this cake for him ! 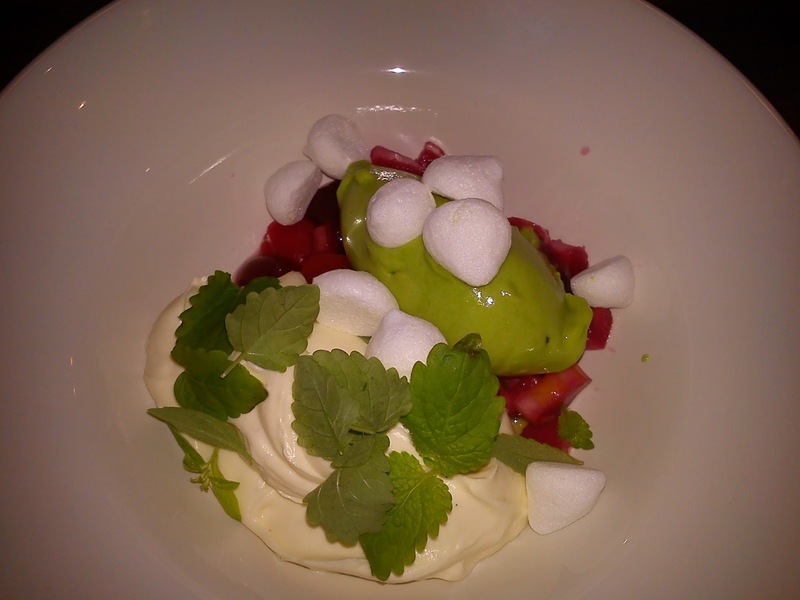 Place the apple boats on top of the blackberries. Sprinkle the vanilla sugar on top of the fruit. In April I went on a small vacation to Oslo visting plenty of museums. 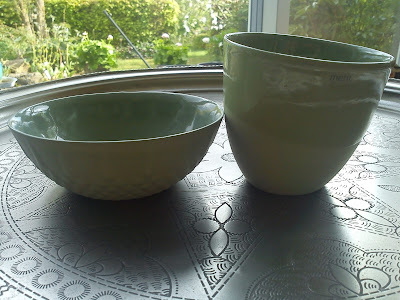 However, I also managed to find some Norwegian ceramics in form of a tea cup and breakfast bowl from Ment, which I took home with me as souvenir. I gave my mother a spis og støt dinner as gift in connection with the annual Mothers Day, which could almost be called a Kinder Eier thing combining a Mother Days gift, evening meal on a busy working day while supporting the fight against cancer with a small donation. For 250 DKK one person could buy a three course dinner at various restaurants with a donation of 40 DKK to Kræftens Bekæmpelse. I brought dinner for two persons at Børkop Vandmølle. 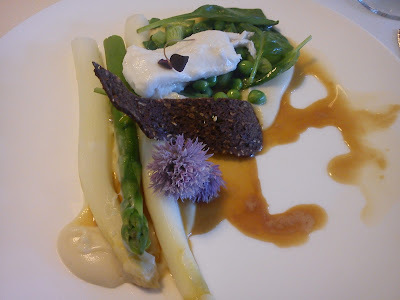 As starter we were served fish in form of lemon sole together with a puree of cauliflower, peas, green and white asparagus and a rye bread chips. 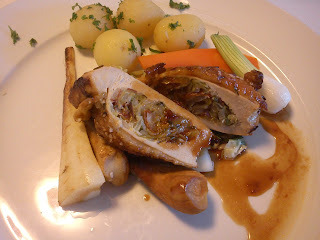 The main course was guinea fowl breast stuffed with sundried tomatoes and spring cabbage served together with potatoes, carrot, spring onion and parsley root with a great sauce on red wine and sundried tomatoes. 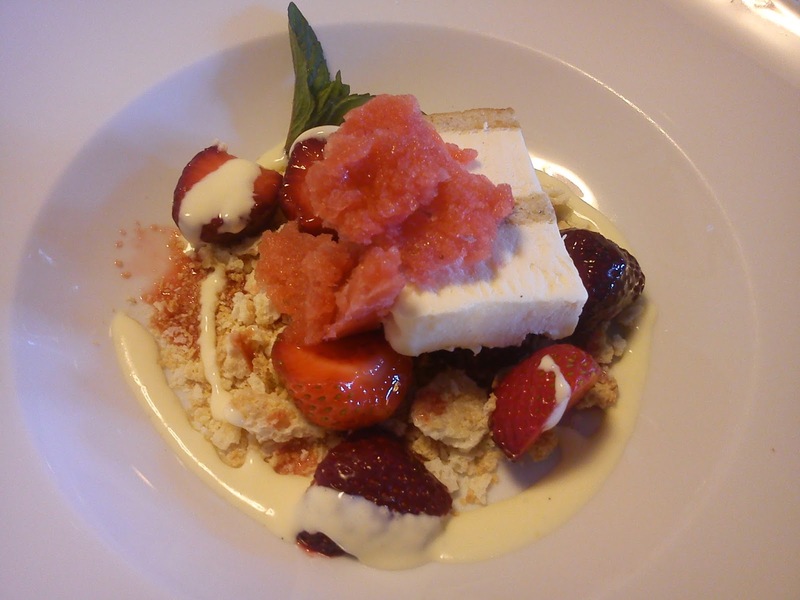 Finally the dessert was a combination of strawberry sorbet, macaroon ice cream, vanilla sauce, macarrons and fresh strawberries. It has been some time since I last have been writing on my blog. However, June has so fare been a busy month for me with rowing, cutting my garden hedge and going to Alsace on my first Summer vacation with year. My mother and I found a nice little hotel (Au Riesling) in the tiny little wine village of Zellenberg. It was a great place to stay, serving some good food and located very central in the region of Alsace. It is for sure not the last time, that we will be making vacation at this hotel. 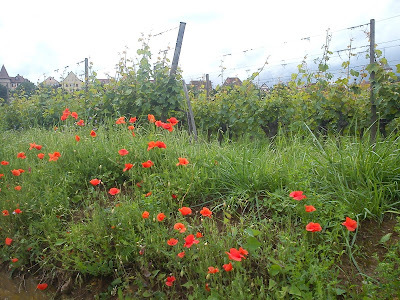 Included in the stay at the hotel was a wine tasting at a wine yard located next door (Edmond Rentz), which was very convinient, as you could walk back to hotel after the wine tasting and when pick up the brought wine next day by car ! Besides from tasting some fantastic wine we also visited Musee eaux de vie in Lapoutroie. At this place we were also served with a gentle hand hand of the many various eau de vie. 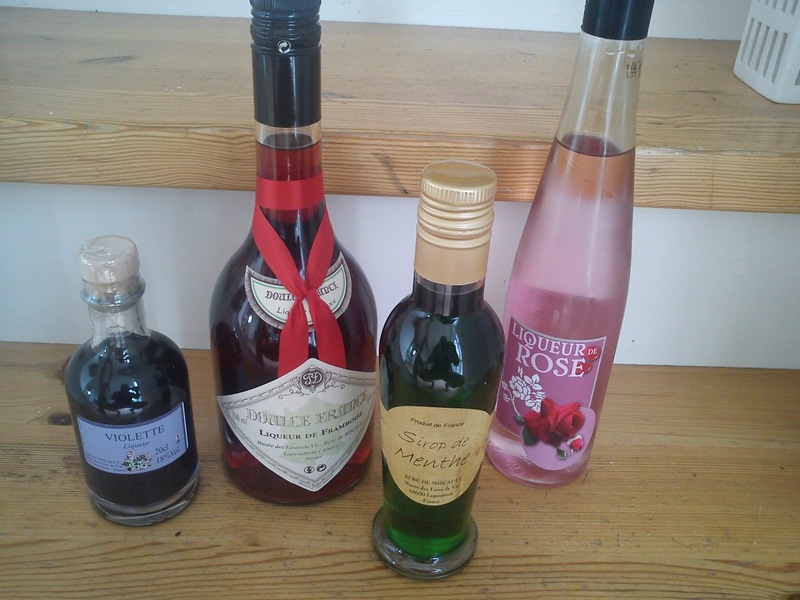 A raspberry eau de vie, a rose liqueur, a violet liqueur and some syrup de mint found it´s way to Denmark together with me. The two flower liqueur can be used for flavour twisting sparkling wine. 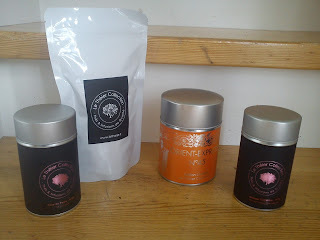 Besides some wine and eau de vie tasting I also located an interesting tea shop in Colmar (Le Theier), where I brought some more souvenirs in form of teas for my tea pot. Grand Catherine in form of black Ceylon tea with bergamot, blue flowers, lemon and orange. Rose de Perse in form of black tea and rose petals. Oriente-Express in form of dates, figs, pink passion flower, verbena, orange, guarana and almonds. Lapacho from South America with various unknown stuff inside.